This is an overview of all the special, two-letter (and other) global variables in Ruby, which Ruby inherited from Perl. 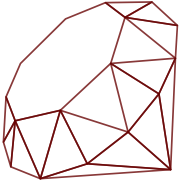 For the purpose of improving code readability, Ruby comes with English.rb in its standard library (or Deutsch.rb as gem), which provides non-cryptic aliases and some documentation. $FILENAME read-only The current file being read via ARGF. Same as ARGF.filename.